MyPal Nestable pallets are suitable for markets with high hygiene-sensitive regulations. These heavy duty plastic pallets are used in pharmaceutical industry and food contact companies. MyPal Nestable pallets achieve a high rackable load of 1,200 kilograms; and achieve a 4 to 1 nesting ratio idea for shipping goods. By having the pallets returned requiring less transport than regular pallets on the return trip. 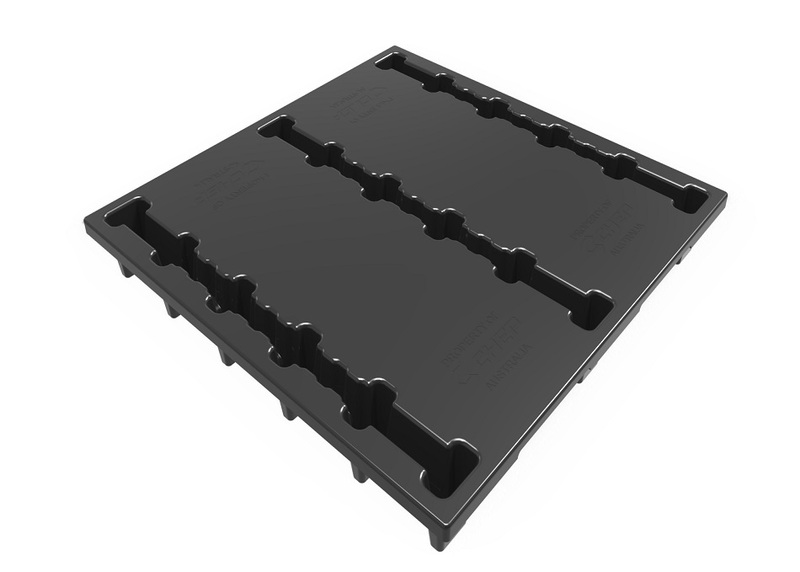 Nestable plastic pallets are non-porous, easy to clean and will not absorb moisture or odours. This represents a 500 kgs weight saving per semi load, reduces pallet storage and space. The nesting ration reduces the return cost of pallets with space and weight savings. MyPal have leasing options available for closed loop operators. Please contact us to discuss your requirements regarding plastic pallets. Increase payloads with the benefit of plastic. Decrease the risk associated with broken pallets. Materials technology reduces the weight of the plastic pallet and increases payloads.